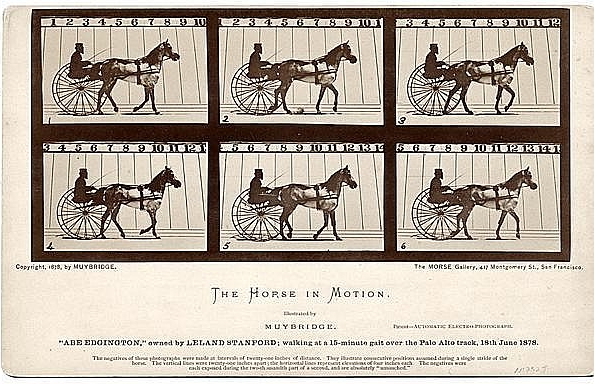 A key design challenge was conveying the significance of Eadweard Muybridge’s visionary ideas to a contemporary audience that is technologically sophisticated. 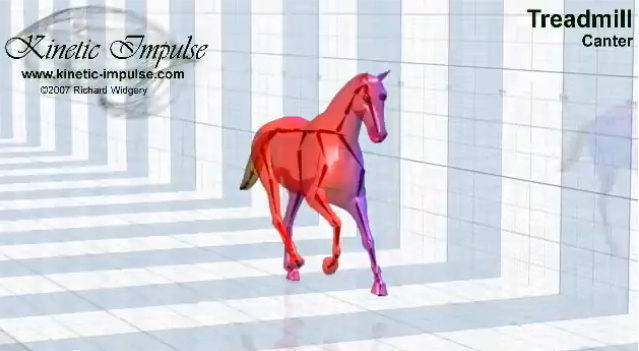 Muybridge was ahead of his time. The visual language established from the earliest meeting with the Gallery was to present his art in a way that dispensed with traditional Victorian vernacular. The resulting design is intentionally devoid of excess. Reich+Petch is a multi-disciplinary design group with over 25 years experience. The hallmark of our work and our brand is “experience design” and we are firmly rooted in the importance of the visitor experience. We are inspired by opportunities that allow us to create meaningful and engaging environments that excite the senses and make an emotional connection. Marek Pytel has been very active in Muybridge-related activities these past couple of years, animating zoopraxiscope discs and animal locomotion plates with great technical skill, combined with real insight into what Muybridge was doing. Now Marek’s initiative in staging the exhibition Muybridge’s Revolver provides an opportunity not only to view original plates from Animal Locomotion, rather than reproductions in books and on the web, but also perhaps to take the opportunity to buy one if you can’t bear to leave without it. Taking advantage of a tranche of plates recently made available by a collector, Marek has adorned the walls of The Horse Hospital – what venue could be more appropriate? – with a great selection, some of which are for sale. There are yet more being offered in the exhibition’s catalogue, which can be seen at the exhibition. 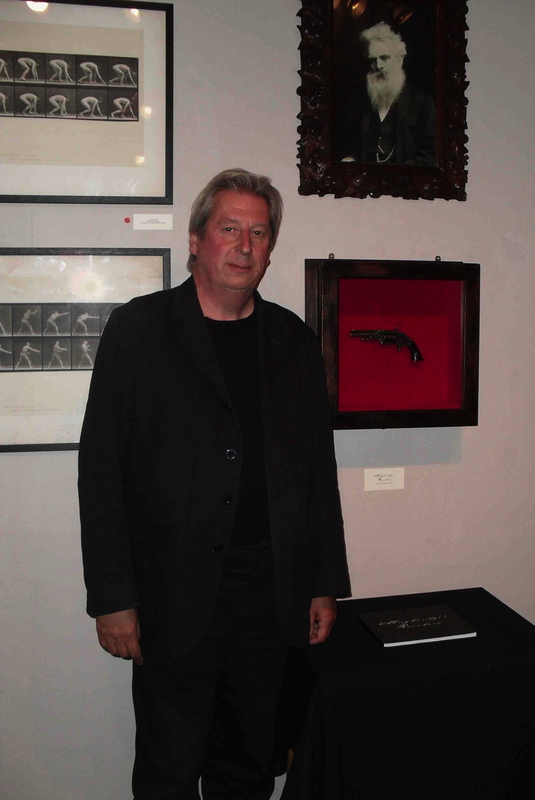 The revolver is of course the Smith and Wesson that Muybridge used to shoot dead his wife’s lover, Harry Larkyns, and a replica of a similar pistol together with a portrait of the old photographer form the exhibition’s centrepiece. I was very pleased to be asked to lead a discussion in the exhibition space last week, with a small (but beautifully formed) group of participants. The Horse Hospital is very close to Russell Square tube station, and worth a visit just to see the interesting space. But there’s much more than that…. 27th Sept 7:30pm FREE: Screening of Thom Andersen’s Eadweard Muybridge Zoopraxographer. On the evening of 2nd October: Live performance from sound archeologist Aleksander Kolkowski accompanied by Marek Pytel’s film Eadweard Muybridge (£7.50). Suggested bid at present: 1,100 dollars.